We pride ourselves on our excellent customer satisfaction ratings, which are due to the excellent quality of our products and services together with our staff, who create the great experience for customers. We are on hand to help, guiding your project choice from plant selection, right through to delivery and planting. Our installation team have many years planting and machine operations experience between them. From working on large landscaping and land clearance projects, to the tender care required when planting an intricate topiary knot garden, these guys have seen it all. They really know how to deliver the Practicality Brown difference, with consummate care and attention to detail. 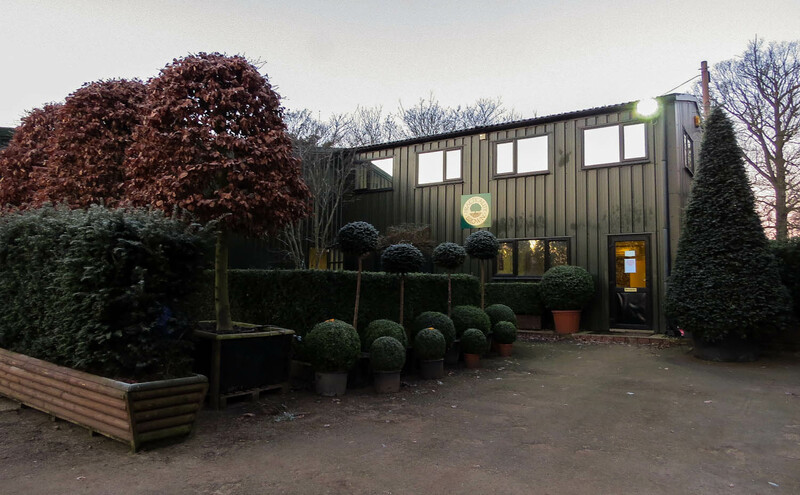 The nursery team look after the semi-mature trees and large plants at our Iver nursery. From careful selection for individual customer requirements, to the management of our tree stocks, the team also care-take plants in readiness for designers’ RHS Flower shows displays and show gardens. The nursery is constantly changing and evolving as stock and requirements change, and our expert team ensure this is maintained to our high standards. With all our machine fleet and big pieces of kit, we also operate an efficient and expert team in our workshop ensuring that we have the right machine available for each project, whether it’s the 21tonne mulcher, our Big John tree spade or any of the tools of the trade. Practicality Brown Ltd is an innovative, class-leading company, with divisions operating in the Landscape and Forestry Sectors. Our Elveden and Practical Instant Hedges are the industry standard against which all other hedging plants are compared. We are proud to be a Perennial Partner as part of our Corporate Social Responsibility Programme. Perennial is the only charity in the UK helping all those who work in or are retired from horticulture and their dependent families; they step in when the going gets tough. You can find out more about their work here.